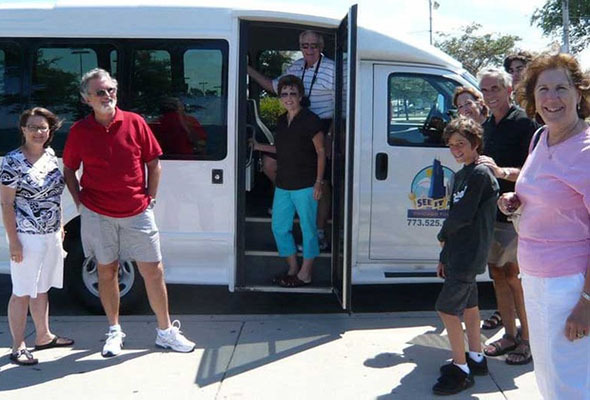 Warm in the winter, top rated mini bus tours. Large windows and photo stops. Trip Advisor Certificate of Excellence honoree. Looking for a fun and informative Chicago bus tour in a climate controlled, large windowed mini bus? One that has afternoon bus tour departures?